Sixteen hundred transfer students were enrolled at UC Riverside this fall quarter. This is just a hundred shy of the projected fall enrollment by Emily Engelschall, director of Undergraduate Admissions at UCR. 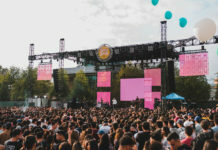 In response to threatened budget cuts last year due to an excessive amount of freshman students compared to transfers, Engelschall has collaborated with several departments of the UCR campus and all 114 community colleges in California in an effort to raise transfer student attendance at UCR. 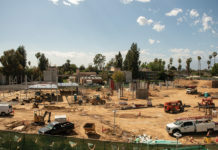 According to UCR News, Provost Cynthia K. Larive said that in the past UCR “had put barriers in place that kept transfer students from coming.” When asked about this, Cerna responded that “they could have been academic. We may have required more from students based on their major and the college they were coming from, which meant that they would have had to stay at their college longer before they could transfer over to UCR.” She later said that the various colleges on campus have to communicate with Undergraduate Admissions on managing the requirements. She then emphasized the importance of Undergraduate Admissions in increasing transfer enrollment and the Zone’s role in keeping them at UCR. 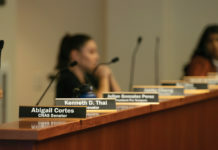 “Admissions brings the transfers in, and I am a small piece of the puzzle,” Cerna clarified, “because there’s a number of different positions on campus that all work together in preparing transfers academically and with student support resources, so that we can maintain retention and hopefully lead them to graduation. We need to make sure that there’s no ‘transfer shock.’” By transfer shock, Cerna refers to the academic difficulty a transfer student can face for the first few months at a new school due to disorientation in the new environment. The Transfer Success Zone is located on the first floor of Skye Hall in Room 156.